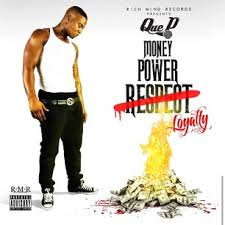 The wait is over Triple D. Rich Mind Records presents Que P anticipated album: #MoneyPowerLoyalty in stores and on ITUNES NOW! 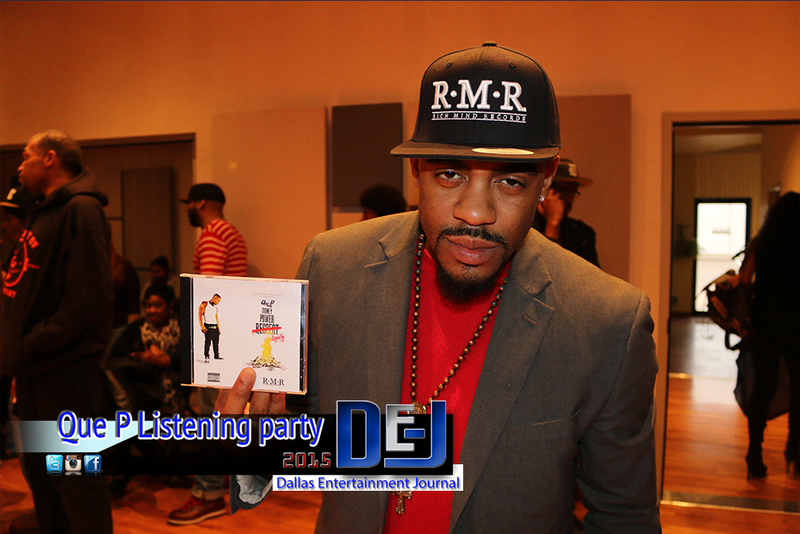 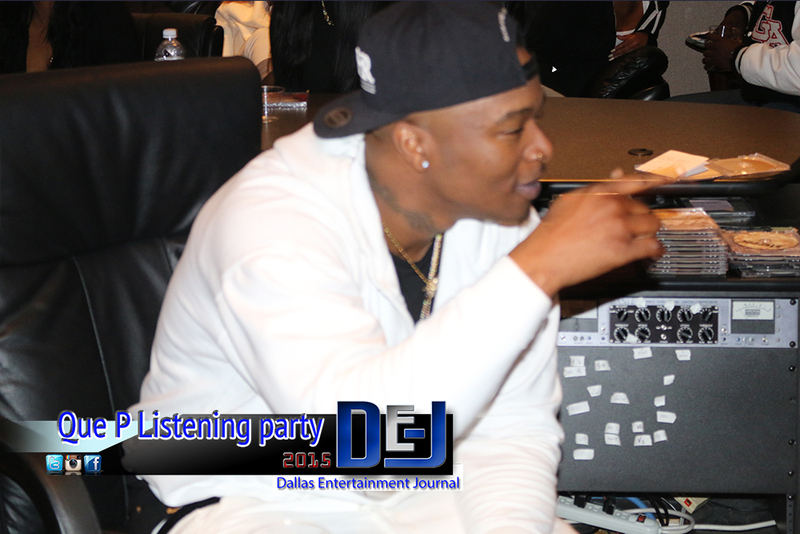 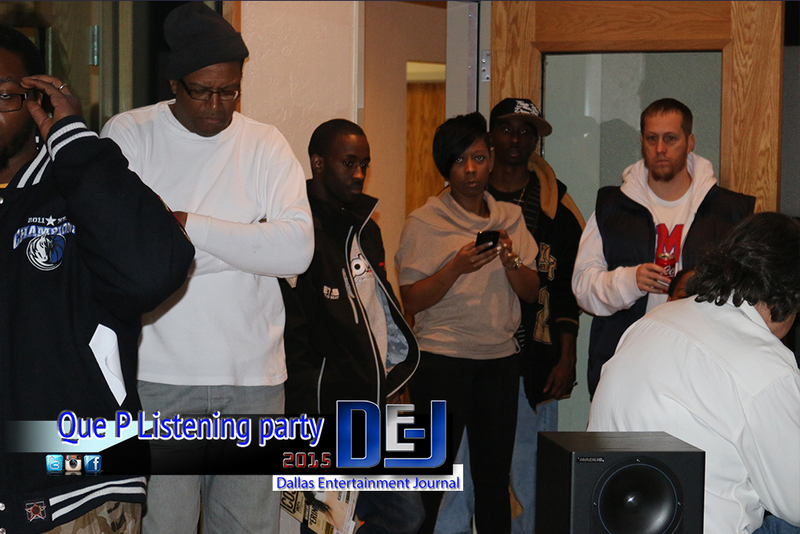 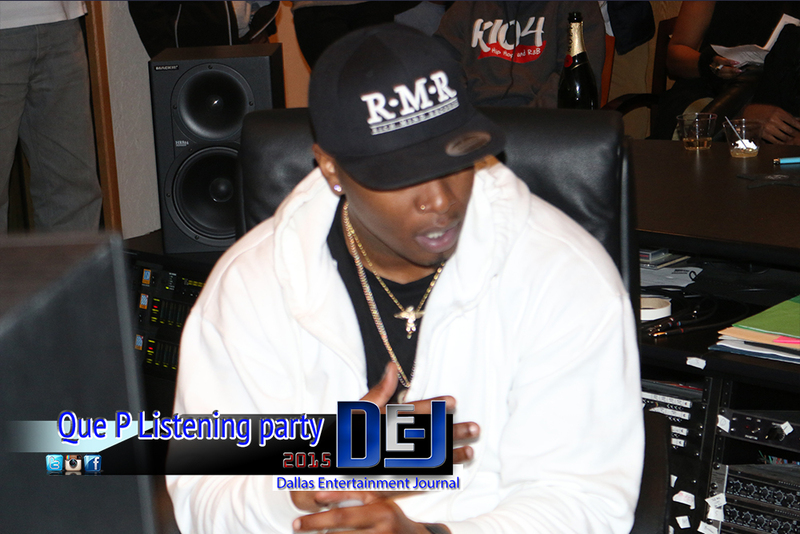 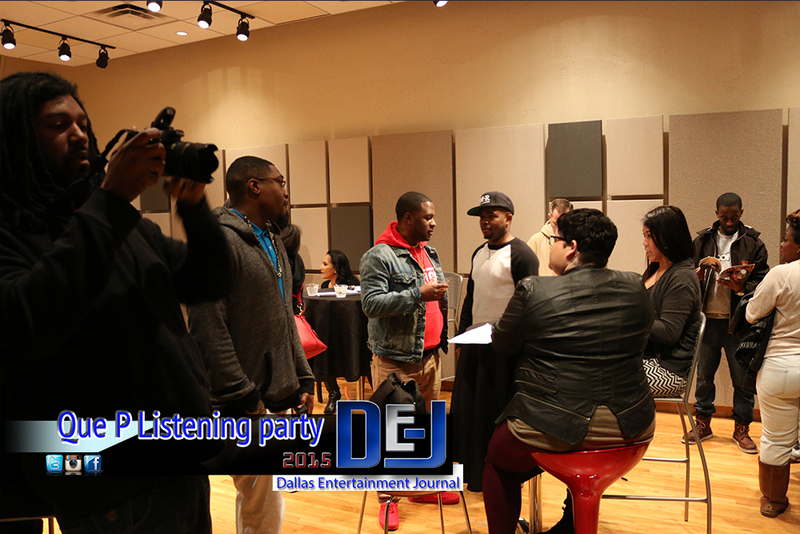 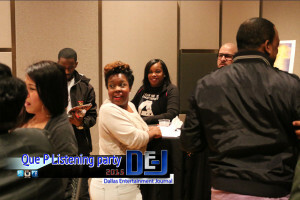 Dallas Entertainment Journal’s celebrity correspondent; Ebony Jae’ had the honor of sitting down with the Rookie and the Vet no longer the under dog; Que P of Rich Mind Records at his invite only Listening Party at Cake Mix studious. 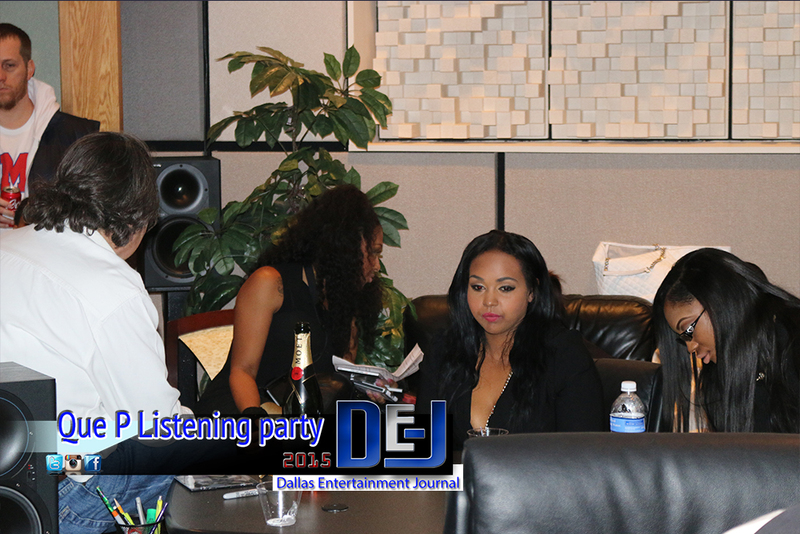 The setup of the studio was beyond amazing, an open bar was provided for guests and appetizers were catered. The humble and excited Que P made it his business to shake hands, give out hugs, and acknowledge everyone that came through to show support. 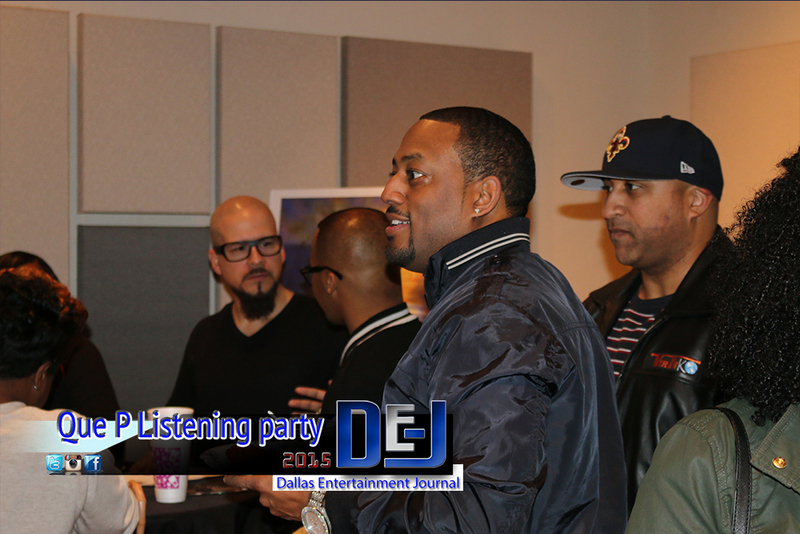 Who knew that #MoneyPowerLoyalty private listening session would turn into a successful industry event? 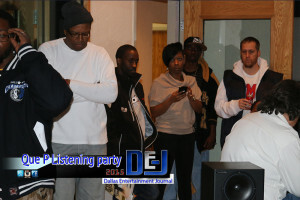 Yes, the best of the best showed up and showed out. Guest included: KiKi J(K104)” Street Swag Sunday”, the infamous DJ ASAP, Big Daddie the DJ, Fred Banks CEO of WWEG, celebrity socialite Chelly Bee, Cosign Magazine, Mr. Rip the Mic himself, Deville with Party Chaser, and a host of media, socialites, promoters, DJ’s and models. 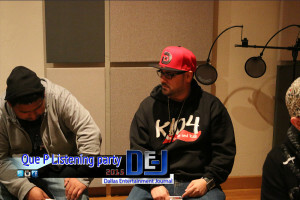 Turo, CEO of Rich Mind Records recognized Que P for his hard work, determination, and dedication to the long awaited project #MoneyPowerLoyalty , as the listening session began Turo quoted “ This is your time” and the first sound in your ear was “ Straight Drop”, off the muscle the entire studio was on fire. Dalyce Kelley, Rich Mind Records PR provided every guest with a pen and a Sheet of paper to rate the 10 track #MoneyPowerLoyalty album, it was clear the Rich Mind Records Label wanted feedback. Que P’s sound, growth, and truth have made its mark in this industry with classic hits off the album such as: “Straight drop”, “We still on”, Remember Me”, and “2 live and die in the D”. Press play on the interview below to see why Que P will have longevity in this game, why he reps #NewDallas and what it really means, and why he chose to pay homage to the artists before his time. Keep it up Rich Mind Records the Triple D IS BEHIND YOU, congratulations Que P.
Download #MoneyPowerLoyalty on ITUNES NOW! Follow Que P on Instagram @_qp_troublesome for the latest….. I had an amazing time filming with “The Kicthen” on this project. 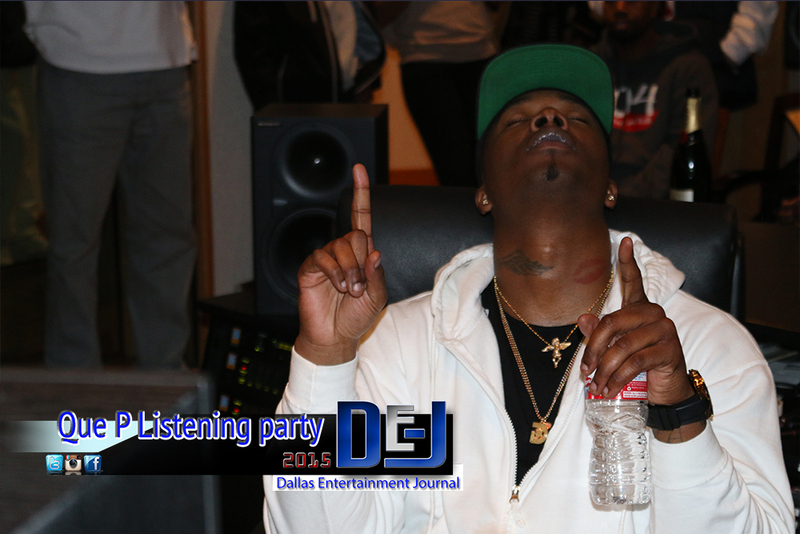 Be sure to follow them on Instagram @thekitchendfw stay locked to the Dallas Entertainment Journal; you never know what seal these lips will be breaking next. 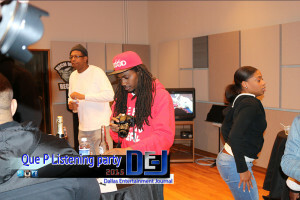 Visit me at www.ebonyjae.com subscribe and drop me an email on your thoughts and to book us for your next event.